Now open in Hollywood is Spoonfed, an all-day dining restaurant with a garden oasis setting. Breakfast kicks off with pineapple lemon ricotta pancakes, avocado toast and steak and eggs, while lunch and dinner items include salads, flatbreads and sandwiches. Spoonfed, 959 Seward St., Los Angeles, CA 90038, 323-347-7000. LA restaurateur Bill Chait, chef Raphaël François, pastry chef and bread maker Sally Camacho and wine director/managing partner Jordan Ogron are behind Tesse in West Hollywood. The cuisine is definitively French, bien-sûr, but with modern revisions. We await the opening of the adjacent wine store Bouteiller. Tesse, 8500 Sunset Blvd., West Hollywood, CA 90069, 310-360-3866. Chef Wes Avila first started Guerrilla Tacos in 2012 as a street food cart, then truck, and now his fully realized flagship restaurant has landed in DTLA’s Arts District. Look for haute modern Mexican fare like artichoke tacos with red pepper escabeche, a hamachi tuna tostada, and mushroom quesadilla with yuzu and tomato confit. Guerrilla Tacos, 2000 E. 7th St., Los Angeles, CA 90021, no phone. The ever-booming Arts District keeps ’em coming, this time with Top Chef Season 12 winner Mei Lin’s new restaurant Nightshade. Look for a sprawling, elegant space with a globally influenced, innovative Cal-Asian menu that includes dishes like beef tartare, razor clams with passionfruit sauce, and a mapo tofu lasagna. Expect an August opening. Nightshade, 923 E. 3rd St., Ste. 109, Los Angeles, CA 90013, no phone. 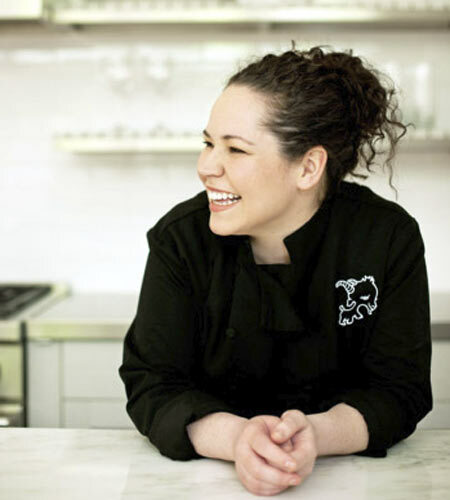 The Arts District downtown will welcome an LA location of Chicago’s famous Girl & the Goat restaurant, overseen by Iron Chef champion Stephanie Izard. Look for an opening next summer, with a menu featuring some of the more popular dishes like escargot ravioli, duck tongues with piri piri, and wood oven roasted pig face. Girl & the Goat, 555 Mateo St., Los Angeles, CA 90013, no phone. A massive, 8,400 square foot restaurant and brewpub has come to La Brea. 6th & La Brea features an onsite brewery from the Artisanal Brewers Collective (Beelman’s, Bluebird Brasserie) and offers fresh, seasonal craft beer and California-driven cocktails. A menu from chef Jihee Kim focuses on forward-thinking Cal-Asian dishes. 6th & La Brea, 600 S. La Brea Ave., Los Angeles, CA 90036, 323-998-8565. Below the O Hotel on Flower Street, down stairs and behind a rustic metal door, a new speakeasy has opened, The Burrow Bar & Kitchen. Look for high-end seasonally focused craft cocktails, punch by the bowl, and a curated beer and wine list. There are select artisan cheese and charcuterie plates, salads and gourmet sandwiches like a rustic baguette with smoked duck breast, provolone and fig spread; Italian prosciutto with Brie and apple; a muffuletta; and burrata with house-made red pepper pesto on focaccia. The Burrow Bar & Kitchen, 821 S. Flower St., Los Angeles, CA 90017, 213-784-3050. In Palms, Mee & Greet is an airy, casually elegant spot featuring a variety of Southeast Asian specialties. There are leather banquettes, white subway tile and a sleek white bar that serves up a dozen draft craft beers, including many seasonal ones. Look for crispy turmeric fried chicken, garlic noodles, pho with sliced filet mignon, Vietnamese salt and pepper tiger prawns, and an Angus burger with sambal aïoli and acar pickle. Lunch & Dinner daily. Mee & Greet, 3500 Overland Ave., Los Angeles, CA 90034, 310-876-0838. The Olive is now offering up Mediterranean cuisine, craft cocktails and live music amidst a rustic modern setting in a hidden courtyard dotted with fountains and flowers at the Downey Promenade. Look for starters like a fire roasted artichoke, lamb sliders and buttermilk calamari, and mains featuring oven roasted whole Cornish hens, grilled shrimp or filet mignon kabobs, seared diver sea scallops, and lamb shank with saffron couscous and parsnip purée. Lunch & Dinner daily. The Olive, Downey Promenade, 8830 Apollo Way, Downey, CA 90242, 562-401-0054. The upscale modern cantina, Toca Madera, presents Summer Saturdays, including weekend brunch 11 a.m.-4 p.m. Enjoy a chicken and churro waffle, avocado toast and carne asada and eggs, along with new dishes such as tres leches french toast. Toca Madera, 8450 W. Third St., Los Angeles, CA 90048, 323-852-9400. The popular El Monte Burritos La Palma has opened a mini location inside Plan Check Kitchen + Bar on Fairfax. Look for tacos and burritos with birria de res (spiced shredded beef), chicken tinga and chicharron. To drink there’s Mexican beer, specialty margaritas (including pitchers), a mezcal watermelon paloma and a Mexican Mule. Burritos La Palma x Plan Check, 351 N. Fairfax Ave., Los Angeles, CA 90036, 323-591-0094. Le Petit Paris debuts a new summer cocktail list perfect for leisurely sipping amidst the historic El Dorado Building’s turn-of-the-century décor in DTLA. Look for cocktails inspired by Prohibition-era classics, including “Le Provencal” featuring fresh lavender, lime juice and egg white; “Le Parfait Paris” mixed with tequila, Cognac, fresh blueberry and lime juice; and “Le Good Thyme” with bourbon, black tea syrup and Mandarin orange liqueur. Le Petit Paris, El Dorado Building, 418-420 S. Spring St., Los Angeles, CA 90013, 213-217-4445. Mélisse is celebrating its 19th anniversary with a special menu from chef Josiah Citrin's kitchen. The four-course prix-fixe menu ($99) is available Tuesday through Friday and includes classic Mélisse dishes such as egg caviar ($25 supplement) and lobster Bolognese, along with other options like Wagyu beef tartare and zucchini blossom-crusted salmon. Chef Josiah Citrin has announced that there will be changes coming to the restaurant (either in its current Santa Monica location or in a new venue, as the current lease ends in 2019), so we encourage diners to experience Mélisse once again in its present incarnation. To reserve your space, call 310-395-0881. Mélisse, 1104 Wilshire Blvd., Santa Monica, CA 90401, 310-395-0881. Chef Michael Bryant (The Churchill, Cliff’s Edge) is helming a new neighborhood spot in Westwood named Fellow, currently serving lunch Monday through Friday, with dinner service to follow soon. The menu runs from Cali fare – avocado toast with pine nuts, a burrata tartine, and Chinese cold noodle salad – to Southern tinged dishes including Virginia style crab cakes, a rock shrimp po’boy, and black eyed pea falafel. Plant-based vegan/vegetarian selections are plentiful, like English and snap peas with yuzu hollandaise, Brussels sprouts with green curry, and sumac dusted lemon and dill cauliflower. Fellow, 1071 Glendon Ave., Los Angeles, CA 90024, 310-208-1071. 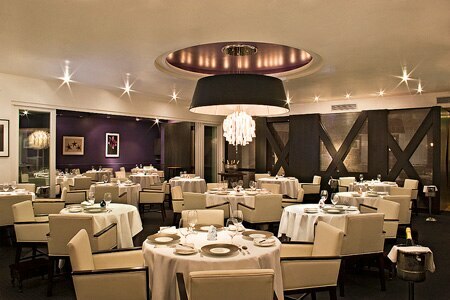 Chef Brendan Collins (formerly of Birch) now oversees Wilshire Restaurant in Santa Monica. 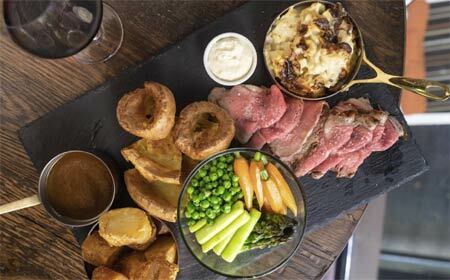 Sundays feature an English roast with salmon, half chicken, beef roast or veggies served on a wood plank with Brussels sprouts, carrots, peas, roast potatoes, cauliflower and cheese, gravy and Yorkshire pudding. This is in addition to Sunday brunch with bottomless mimosas, Bloody Marys and margaritas. 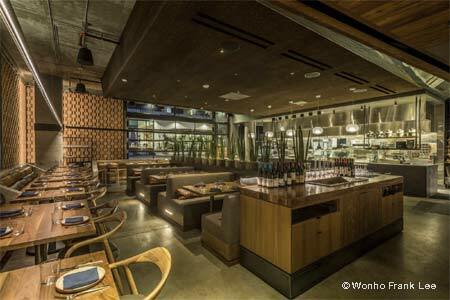 Wilshire Restaurant, 2454 Wilshire Blvd., Santa Monica, CA 90403, 310-586-1707. Longtime Greek restaurant Sofi closed its doors after four decades on West Third Street on July 30. It will be replaced by a new iteration of the wine bar Bacari. Sofi, 8030 3/4 W. Third St., Los Angeles, CA 90048, no phone. At the end of July 2018, chef Roy Choi will close his venues at Koreatown’s The Line Los Angeles hotel, including POT Café, POT Lobby Bar and COMMISSARY. The hotel’s managing Sydell Group will announce replacements in the near future. 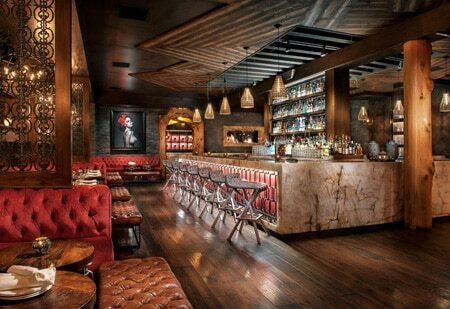 COMMISSARY, POT Lobby Bar & POT Café, The Line Los Angeles, 3515 Wilshire Blvd., Los Angeles, CA 90010, 213-368-3030. Belcampo Meat Co. in Santa Monica is temporarily closed for renovations. Belcampo Meat Co., 1026 Wilshire Blvd., Santa Monica, CA 90401, 310-451-5750.